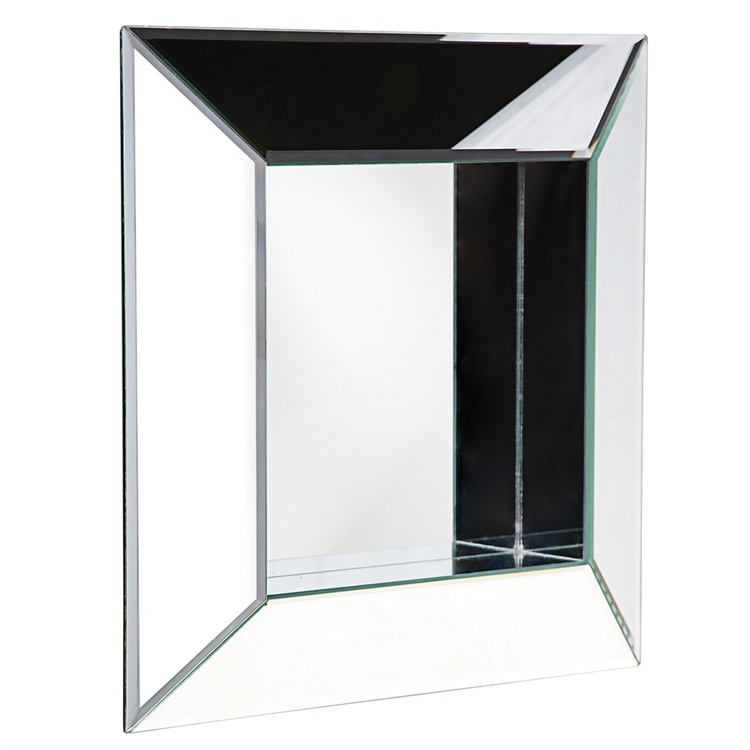 This Contemporary mirror is styled like a square shadow box composed of mitered mirrored panels. The entire piece is mirrored; frame and all. All those mirrors and angles offer the most amazing displays of light and reflection. On its own or in multiples, the Abilene Mirror is a perfect accent piece for any design. The mirrored frame on this piece has a small bevel adding to its beauty and style. Customizable for larger orders.